Striking colour, world class skill and inspirational cuts and hair styling were celebrated on Tuesday evening at Alto Event Space in Melbourne’s GPO, as Aveda The Art and Science of Pure Flower and Plant Essences held the 2016 Aveda Colour Harmony Awards. The annual event welcomed Aveda’s salon network, stylists and hair artists to create an interpretation of the 2016 theme ‘Live Colourfully’, the spirit of Aveda, and the connection between haircut, styling, colour and makeup. The three categories awarded were New Talent, Editorial and the prestigious Colour Harmony Award, where the winner will attend Aveda’s Master Jam event in Milan later this year. From entries across the country, three finalists from each category were chosen by Aveda’s Global Artistic Team and were invited to recreate the artistry in Melbourne for Aveda’s expert judging panel; David Mannah, Creative Director of M Division and Publisher of The Journal, Bonnie Gillies, Editor and Creator of Oz Beauty Expert and Claus Hagenhoff, Senior Technical Education Manager, Aveda APAC. Hosted by Clint Piper, General Manager of Aveda for Australia and New Zealand, guests were also presented with a preview of Aveda’s Autumn/Winter 2016 Collection, Fōlklôr, which launched in Australia this month. Fōlklôr captures the folkloric vibes of modern, urban looks and interprets them in three stylings: avant-garde, fashion-forward and “everyday wearable”. The four striking cut, colour and style techniques showcased on the evening also incorporated the use of Aveda’s new face-framing hair colour technique, Eclipting. The following day, Craig attended the ‘Train the Trainer’ intensive Bootcamp to learn the new Eclipting technique which has now launched to the network. 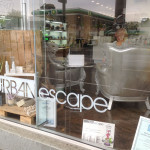 Craig has already trained the Urban Escape team in this new technique which is exclusive to Aveda salons only. 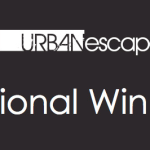 Urban Escape is all skilled up and ready to embrace this exciting soon to be ‘hair trend’ of 2016.